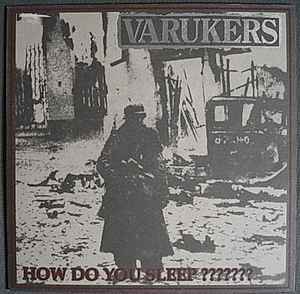 Varukers* ‎– How Do You Sleep ??????? A1 How Do You Sleep ? A6 Where Is Your God ? Recorded and mixed at Premier Studio, Corby, England in 2000. Originaly released on CD by the band for the US tour. Reissued later on CD & Lp by Go Kart in US and finaly reissued in Europe before the 2005 tour in France. This L.P. is dedicated to the memory of Peter John Bottemley, aka Nut, a dear friend who will be greatly missed by many. Mastering facility and pressing plant from matrix. Matrix / Runout (Side A): DAMGAGE 01 / MASS 53 A ACTIS MPO BRAIN DAMAGE. VARUKERS. FACE A.
Matrix / Runout (Side B): DAMGAGE 01 / MASS 53 B ACTIS MPO BRAIN DAMAGE. VARUKERS. FACE B.